First off, sorry for all of you who stopped by Thursday and Friday and found no new posts. I was out of town with limited internet access which I didn’t anticipate. I had an amazing long weekend on Fogo Island. It is such a beautiful place. Full of history and incredibly preserved. My mom and two of her sisters stayed at the Dwyer Premises. The house is more than 110 years old and has been restored and furnished with all period pieces by the Town of Tilting. I have never wanted a new camera more in my life than this past weekend. It was impossible to capture the beauty of this island with my iPhone. My Aunt and Uncle`s wedding anniversary was a huge success. We spent two days decorating the local fire hall (which was within stumbling distance thankfully). We had an amazing supper followed by some great local entertainment. As much as my young cousins appreciated the traditional Newfoundland music. Haha. They were very excited to hear something a little more mainstream. Friday after party clean up, Shelley took me for a quick tour of the Island since it was the first time I had been there in 15 years. I had no idea that a place could have so many hiking and walking trails. I really wish I had more time to explore. The Fogo Island Inn which sadly I didn`t have the time to visit. But I definitely will next time. Its an awesome project by Zita Cobb designed to bring artists to the island and in turn increase tourism and boost the economy. I`m amazed by it as nearly every item in the inn was made right there on Fogo Island. One of five artist studios that are a part of the inn. 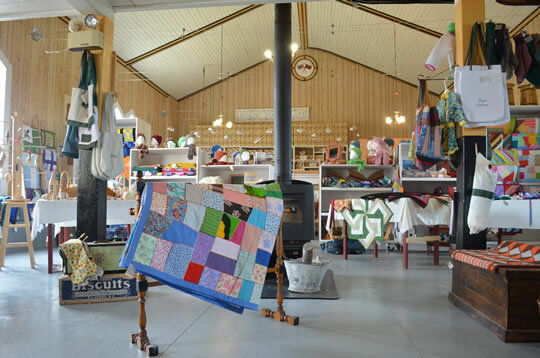 We stopped by Wind and Waves Artisan Guild to look at some of the local crafts for sale. My aunt works here making the decor for the Fogo Island Inn. 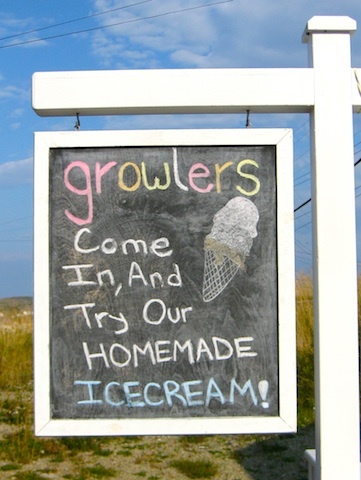 And we finished the excursion off with at trip to Growler`s Ice Cream Shop where I had some vanilla in a waffle cone. It was delicious and you absolutely have to stop there if you visit the island. They have great local inspired flavors such as marshberry, blueberry, bakeapple, and Jam Jams. Fogo Island truly is an amazing place to visit. And I would recommend it to everyone. The landscape and views are phenomenal. There are tons of walking and hiking trails. Whale sightings happen almost every day. And the people there are some of the friendliest I have ever had the pleasure of meeting. Without a doubt one of the best weekends ever. Wow! Beautiful pictures. That is an interesting looking town. It looks like the anniversary party was a total success. The artist studio is incredible. Thanks for sharing!